East Valley Land is tightly-nit team of landscapers who dedicated our team to serving the East Valley areas including Mesa. Since we focus our service crews in a 30 mile service area, we are able to keep our crews running efficiently; saving you money. 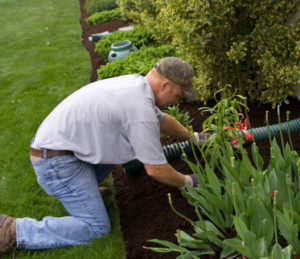 Whether you’re looking to remove a tree, install an irrigation system, or are considering a monthly maintenance service, we can handle all your property maintenance and landscaping needs. Our Mesa landscaping team is ready to handle all of your landscape design ideas to bring them to reality. Call us today for a free quote. We can normally schedule a same day on-site appointment. See you soon! We ensure the job is done right the first time by avoiding mistakes that cost additional time and money. A full service design and maintenance company means you'll never need to deal with another landscaping company. Our Mesa landscaping crew begins our monthly maintenance plans as low as $65 per month! It's Time to Come Home to Paradise – Everyday! Located in Mesa, Arizona we serve the entire East Valley. By focusing on serving a small geographic location we can provide the intimidate service you demand. Our scheduling is flexible to accommodate your busy schedule. We offer service 6 days a week Monday - Saturday. Our goal is become your trusted landscaping team to service your property whether you're home or away. We remain dedicated to earning your repeat business through ensuring you love the way your property looks; year around. Finally, one landscaping company to handle all your outdoor property maintenance and design needs! We pride ourselves on top-notch customer service. We encourage you to contact us right away if you have any questions, concerns, or feedback, and also if you are looking to have us visit you for a free consultation. You can email us at eastvalleylandscapes@gmail.com and we will get back to you as soon as we can (please allow 24-48 hours for a response). You can also call 480-492-3622 for all other matters, including a free quote! We look forward to speaking with you and planning how to make the design of your dreams a reality!